Since Internet and telecommunication network develop so fast this year, 2010 has become a significant year for Skype phone and iPhone as well, which has caused the competition between these two suppliers. In the past two months, iPhone 4 has aroused tremendous repercussions in the whole world while it has also taken a hit for some problems exist in its new network. As a critical year in financial crisis, Internet and telecommunication have great influence in the economy of the whole world. Although it has brought great profits to USB phone, it seems that more challenges have come from iPhone. 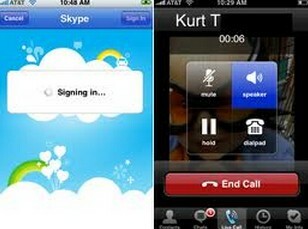 From the new iPhone 4, we can figure out that even the Skype and VOIP phone calls are available there with the help of new handset network, which has covered the functions of Skype phone to a large extent. After all, the popularity of iPhone is well-known while Skype phone is still in the process of development, especially in advertisement. Comparatively, USB telbox has accepted less competition from outside than Skype phone. There’s no denying that even if cordless USB phone can provide a certain range of movement, it won’t be so convenient to user in portability and usage method. Therefore, USB telbox can provide a transitional period for traditional telephone users to adapt to new VOIP network. Of course, as the technology of iPhone 4 is still not so mature as we expected, there’re still enough time for Skype phone to develop its technology and get more advantages in usage and humanity design, which can escape it from the process of USB phone. In my opinion, 2010 has great significance to the whole telecommunication industry. Both the competition and the chance in the market will provide Skype phone more power energy to step into a new era to prepare for new achievements in the next year.